﻿ Avani Windhoek Hotel & Casino (Namibia) | FROM $92 - SAVE ON AGODA! 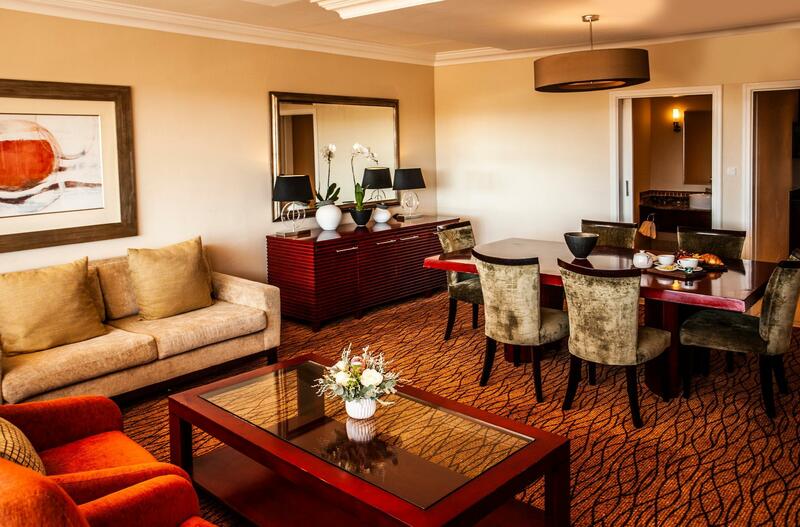 "The hotel was excellent value for money and exceeded all exp..."
Have a question for Avani Windhoek Hotel & Casino? "The staff are extremely friendly and accommodating." "There are some great restaurants in Windhoek which are all a short cab ride from the hotel"
"The let us check in early and upgraded us to a room with a view when we arrived." 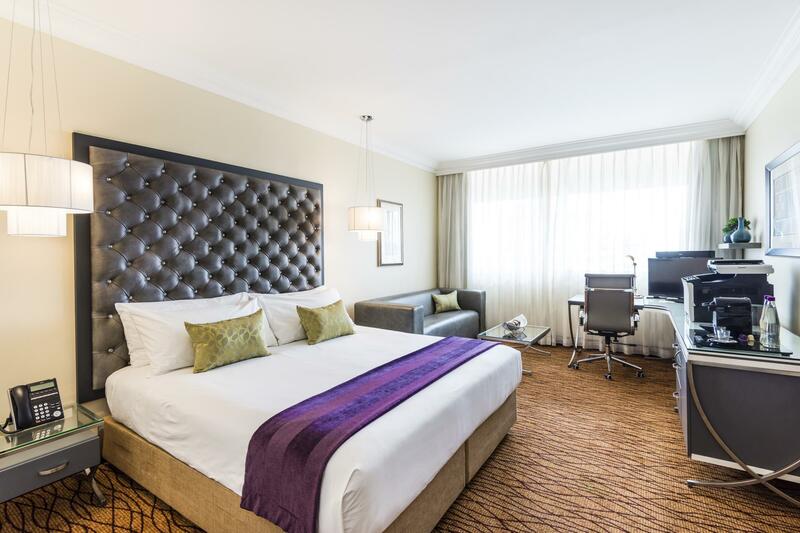 "The bedroom and bathroom were spacious and the bed was extre..."
Renovated in 2016, the AVANI Windhoek Hotel & Casino guarantees guests a pleasant stay whether in Windhoek for business or pleasure. Only 6 km away, this 4-star hotel can be easily accessed from the airport. With its convenient location, the hotel offers easy access to the city's must-see destinations. 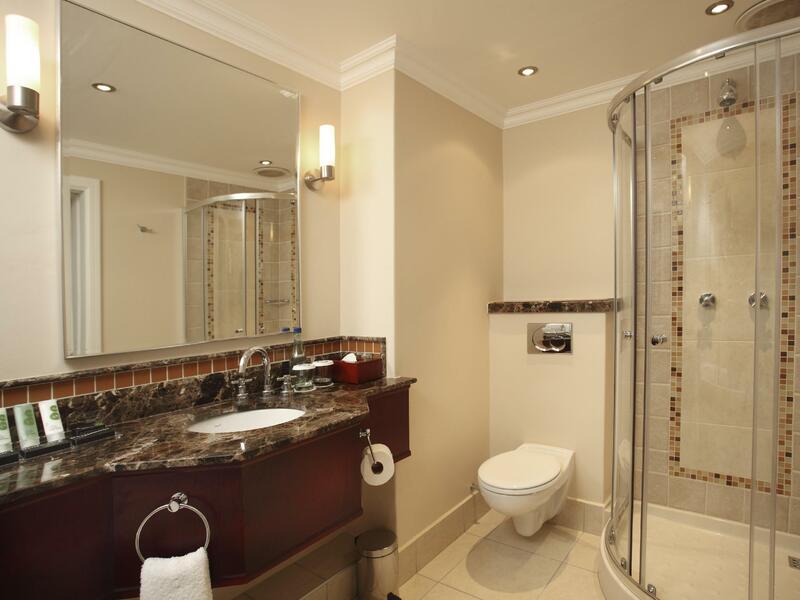 Take advantage of a wealth of unrivaled services and amenities at this Windhoek hotel. Guests of the hotel can enjoy on-site features like 24-hour room service, free Wi-Fi in all rooms, 24-hour security, daily housekeeping, fireplace. Hotel accommodations have been carefully appointed to the highest degree of comfort and convenience. In some of the rooms, guests can find television LCD/plasma screen, separate living room, smoke detector, internet access – wireless (complimentary), whirlpool bathtub. Whether you're a fitness enthusiast or are just looking for a way to unwind after a hard day, you will be entertained by top-class recreational facilities such as golf course (within 3 km), outdoor pool, spa, massage. 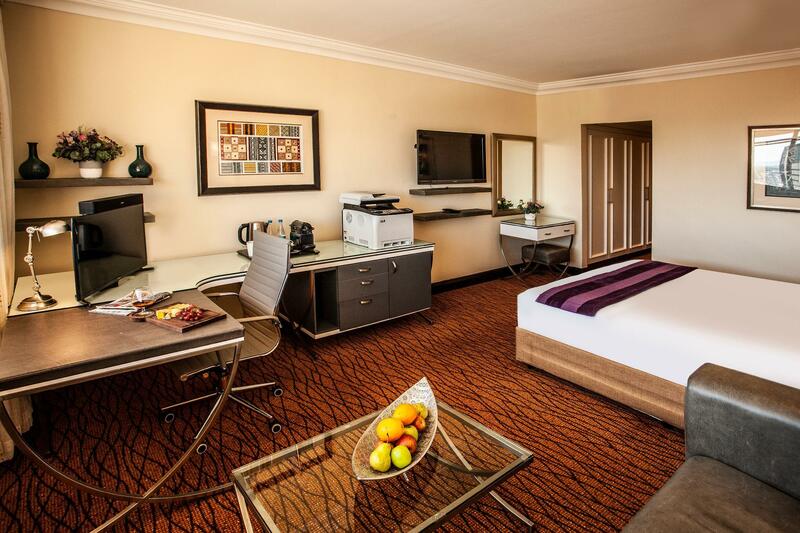 Discover an engaging blend of professional service and a wide array of features at AVANI Windhoek Hotel & Casino. "The room was very comfortable, the staff were very helpful a..."
Restaurant war am Samstag Abend geschlossen. Dear Wolfgang, thank you for your review. We apologize for inconvenience caused for closure of Restaurant on that Saturday. Due to operational needs, we had to close restaurant certain days during January 2019. It is now fully operational and open on all days. Hope to welcome you back again for a much better experience, Kind regards, Team Avani. parking and reception is just inconvenience. ,rooms are not clean us the look in the advert. internet is not working the lets pay extra N$ 700.00 plus extra breakfast N$330.00. Dear Tutaleni, thank you for your review. We apologize for any inconvenience caused during your stay at our hotel. 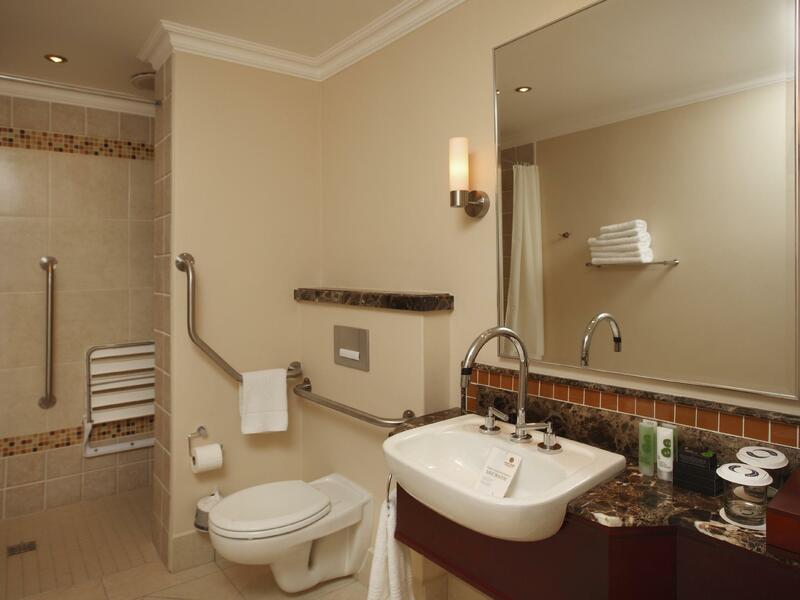 We strive to deliver only the best service and making sure all guests are satisfied with facilities. Matter has been addressed to relevant management to ensure this does not happen again. Hope to welcome you back for a much better experience at our newly renovated hotel. Kind regards, Team Avani. Dear Lee, thank you for your review. We apologize for the inconvenience caused during our upgrade and renovation. We have finally completed all renovations and hotel is now fully operational with the Stratos Rooftop being the last to complete on 1 March 2019. We hope to welcome you back for a much better experience at our hotel. Kind regards, Team Avani. The hotel was excellent value for money and exceeded all expectations. The bedroom and bathroom were spacious and the bed was extremely comfortable. The staff are extremely friendly and accommodating. The let us check in early and upgraded us to a room with a view when we arrived. The breakfast set up is fantastic with so much delicious food and great service. All in all a great way to end our Namibia vacation. When we left, receptionist validated our parking card and said it's damaged but we should just give it to the man in the booth and wrote something on the card. Card was in perfect condition. We had to pay 57 dollars in the parking office to get out for damaging the card! I think we have been ripped off. Dear Tapio, thank you for your review. We apologize for the inconvenience caused with the parking ticket. Matter has since been resolved. We hope to welcome you back for a much better experience at our hotel. Kind regards, Team Avani. we were unable to cancel the two night booking even when present at the reception desk. Dear Phillip, thank you for your review. We apologize for the inconvenience experienced when trying to cancel your booking. Service has since been our top priority and have improved significantly. We hope to welcome you back again for another visit at our newly renovated and fully operational hotel. Kind regards, Team Avani. Wifi was very poor so that you could not work effectively in hotel room. Dear Robin, thanks so much for your review. We apologize for the slow Wi Fi experienced on your last stay with us. Problem has since been solved and Wi Fi is now up to speed. We hope to welcome you back again for a much better experience in our newly renovated and fully operational hotel. Kind regards, Team Avani. Pros = room is 4 star North American quality. Breakfast food. Cons = extremely disorganized - this place is ripe for takeover by an organized chain. Staff trying very hard. Ordered room service, no one picked up the phone. Reception called for us, but 1.5 hours later, they found out order got lost. 2 hours later, finally got food. Cold chicken wings. Separate incident, one rude waiter at the restaurant. Also, no internet there. Staff moved me to another room - I was correctly sceptical. Honestly, if hotel internet doesn't work, just say it - waste of time to move rooms. I know they just wanted to try something, but these are management issues. Protocols and staff training needs to improve or the staff don't have the tools to provide good service. No working Internet in rooms. Dear Guest, thank you for your review. We appreciate all and any feedback from our guests. We apologize for any inconvenience caused during your stay with us. Hope we can welcome you back again for a much better experience to our newly and fully operational hotel. Kind regards, Team Avani. Dear Guest, thank you for your review. We apologize for the inconvenience caused with our Wi Fi, problem has since been solved and Wi Fi is now more user friendly. Hope to welcome you back again soon. Kind regards, Team Avani. Dear Guest, thank you for your review. We are pleased that your stay was to your satisfaction. Looking forward to welcome you back again soon. Kind regards, Team Avani. Dear Guest, thanks so much for your review. Looking forward to welcome you back again soon. Kind regards, Team Avani. La reservación era hecho por Agoda por un precio fijo por 2 noches pagado en el hotel al final de la estancia. Al momento de pagar el hotel tiene su precio y no importa el precio de Agoda. Resultando en pagar Euro 70,00 por 2 noches. Queja era mandado al Agoda para solucionar este discrepancia. Otra problema era que no tenia conexión telematica y ninguna tarjeta de crédito funciona. Tenia que sacar efectivo en el ATM - que denejé. El número de la tarjeta era copiado y el pago efectuó después 2 días. Con este politica del hotel una reservación por Agoda no será confiable. Dear Paul, thank you for your review. We apologize for the inconvenience caused when checking in upon your last visit. The matter will be addressed with relevant parties to make sure this does not happen again.Hope to welcome you back again for a much better experience at our hotel. Kind regards, Team Avani. Zentrale Lage, Reputation, Hausbar, Küche sehr gut! Dear guest, thank you so much for your review. We apologize for any inconvenience caused during your stay. Hope to welcome you back again for a much better experience at our newly renovated hotel, which is now fully operational. Kind regards, Team Avani. Dear Ngoc, thank you for your review. Looking forward to welcome you back for another great experience. Kind regards, Team Avani. A localização do hotel permite uma maior mobilidade para qualquer ponto da cidade. O restaurante tem um serviço agradavel, a comida e optima. O serviço de quarto e prestativo. Pela localização nao muito adequada da entrada principal creio que o serviço de recepção do nivel inferior deveria estar melhor equipado com pessoal para informação aos hospedes bem como para a recepção da bagagem. Foi a primeira vez que estive no hotel e so pude ver que tinham uma entrada no nivel inferior quando sai do hotel e que nao precisava de ter levado a minha bagagem pelas escadas. A recepção deveria estar melhor informada acerca dos serviços do hotel, precisei de utilizar o Gim e informei-me na recepção e disseram-me que localizava-se no ultimo piso conforme publicidade, mas no entanto o Ginasio foi substituido por um espaço de estetica e que segundo o funcionario que me informou (que fazia trabalhos de manutenção na piscina) cada hospede deveria ir a recepção que teria um livre transito para poder frequentar o Ginasio do Centro comercial Maruahall, facto que nao me foi informada pelas recepcionistas a quando da minha interpelação. O fornecimento de artigos de uso diario(banheiro) não foi adequado, por exemplo o sabonete so era reposto de dois em dois dias. O meu quarto precisa de receber alguma manutenção em termos de mobiliario tanto do quarto como das instalações sanitarias. O armario de parede tinha as dobradiças das portas soltas, o lavatorio ja apresenta certo desgaste e os barras de apoio na banheira alem de apresentarem certa ferrugem tinha a falta de alguns parafusos. Achei o hotel com boas condições, o que mais gostei foi o serviço do restaurante que considero optimo, tanto ao nivel do pessoal, prestativo bem como da qualidade da comida. Hotel sossegado e agradavel para passar ferias agradaveis. Tem-se a disposição uma gama de informação caso a opção seja fazer tambem algum safari ou outro tipo de passeio. Agradavel e a melhor palavra para o descrever. Dear Guest, thank you for your review. We appreciate any and all feedback from our guests. We apologize for any inconvenience caused during your stay and hope to welcome you back again to our newly renovated hotel which is now fully operational. Kind regards, Team Avani. Dear Toshiaki, thank you for your review. We appreciate all feedback from our guests. Hoping to welcome you back again soon for another great experience at our hotel. Kind regards, Team Avani. Dear Guest, thank you for your review. We apologize for any inconvenience caused during your stay at our hotel. We hope to welcome you back again for a better experience to our newly and fully operational hotel. Kind regards, Team Avani.